The true opinions of a die-hard fan. If there’s one thing that even comes CLOSE to my love of videogames, it’s Ghostbusters. 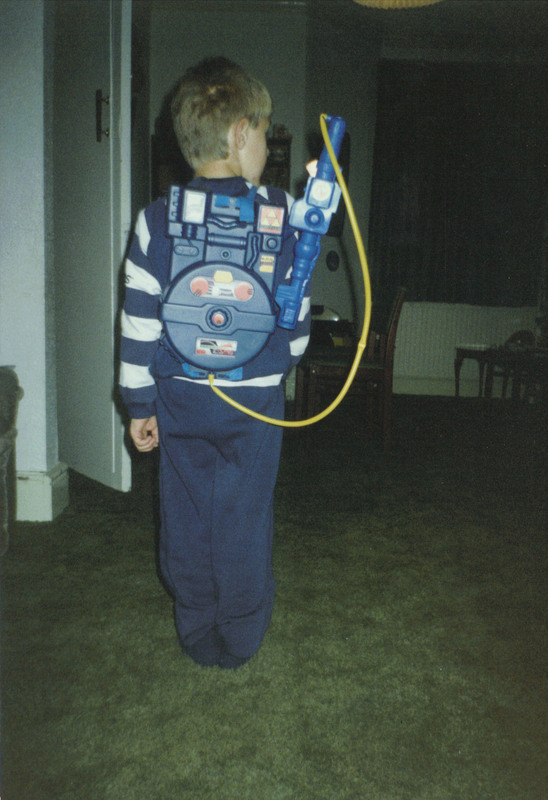 Growing up I had everything: The Proton Pack, the Fire Station, action figures, annual hardback books, pyjamas, videos, audio tapes….. I am a SERIOUS fan. I can quote both films, line for line, and have fond memories of the cartoons too. In fact, I’ll just leave this here. So now lets talk about the NEW Ghostbusters. The film that’s coming out on the 11th of July. The first thing I heard confirmed about the new film was that it was going to be an all-female cast. Some were sceptical, and I was the same. I have no problem with women taking the lead role, it’s simply so different to anything I’ve seen before in the Ghostbusters universe. And when something you’ve loved as much as I have goes through such a radical change, it’s only right that you’d be asking questions. Slowly I warmed up to the idea. This could be a good move, as long as they picked the right ladies for the job and it was written properly! Pictures speak a thousand words, so here’s a comparison for you. We were also shown the proton packs. Another comparison. It doesn’t take a fan of the originals to tell you which pictures look better. Next, the first trailer is released. It starts off so well, reminding us of the past and introducing us to a new team. Camera cuts to three women, in their own clothes, one is filming with a camera, in what looks like a Study or a Library, talking to a female ghost. There. Right there. That’s what set me off. 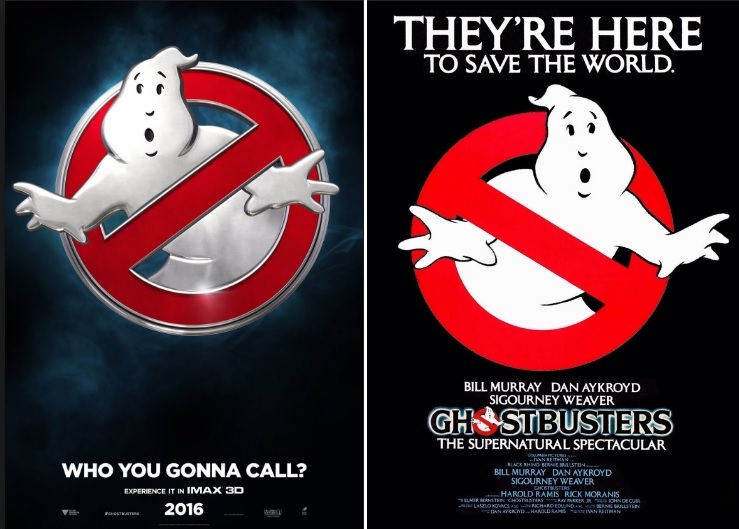 If this is the new Ghostbusters, why is the first scene I see a direct copy of my 30 year old childhood memory? Why, with all the millions of dollars available, can’t they come up with something new? Add to that the ghostly figure here looks too…. new. Too HD. Too conventional! It’s hard to describe. We’re whisked away from that and after a crude joke about slime getting in “every crack”…eugh. We hear a snippet of the new theme music and see the girls in their headquarters. I’m perking up now! But then we cut to Pattie, the 4th Ghostbuster in a subway tunnel….. and they’re at it again! We’re introduced to each Ghostbuster, and they seem like likable characters. Pattie is last to join the group, just like Winston! And she admits on-trailer she isn’t great at the “Science Stuff”…. Like Winston! And I get this sinking feeling. They seem to be ripping off the original as if their very lives depended on it! We see the new Ecto One (car). And the girls stood outside of it. The moment is spoiled by a lame joke. 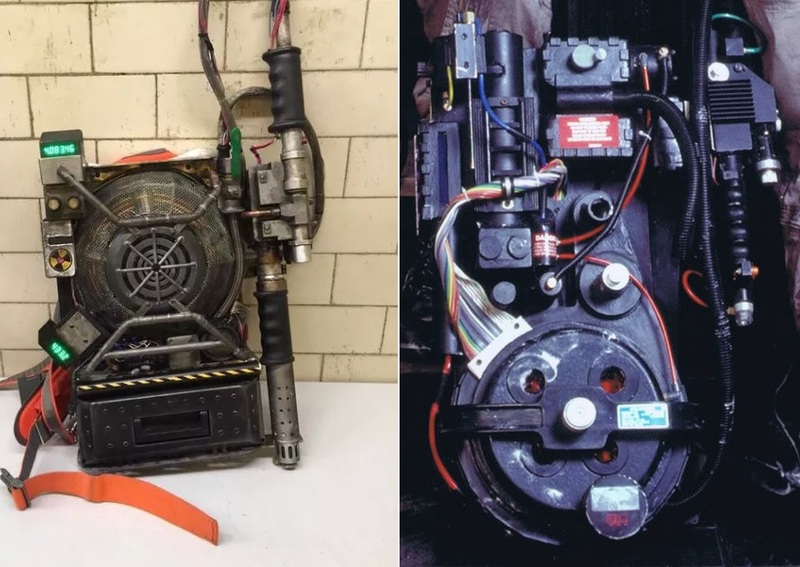 And we see them walking out into a street filled with ghosts, Proton packs glowing…. Spoiled by a lame joke. And then a major plot point. Spoilt by, you guessed it, a lame LAME Exorcist joke! Every time you think this trailer is starting to pick up, there will be a quip or a one-liner that is just NOT funny in the slightest. It destroys the immersion and takes you out of the moment. The trailer’s over, and I heave a sigh of disappointment. I’m not the only one either. I’ve just clicked dislike, and I’m the 904,921st person to do so! The second trailer, was released across several outlets instead of Sony’s official platform – sceptical Leggy says they went that route to avoid having a repeat of the dislike figure I’ve just mentioned. The overview will be a bit quicker this time. First thing of note is the original Ghostbusters Fire Station – why do they have to use that exact same building? Some nifty tech, and then back to the library ghost that set me off in the first place. A bit more plot is revealed, someone is creating a device that amplifies paranormal activity. Sounds plausib—-LAME JOKE. There’s a man who looks like he’s trying to rip off Janine and Louis Tully at the same time. He gets possessed and then there’s another familiar sight. Ghosts are everywhere. The Ghostbusters are chatting with the mayor, because of course they are, and the “Mass Hysteria” line is dropped. I am shaking my fists here. You can probably tell I’m seething from trailer #2 anyway. But this final revelation takes the biscuit. This isn’t “Ghostbusters 3” or “Ghostbusters, Reloaded”. This is just “Ghostbusters” this film is trying to emulate the original and surpass it at the same time! It’s not the women I dislike, and I hope I’ve got that point across. It’s how the characters are written. It’s the way the jokes are written, and it’s the way the humour seems to take precedence over anything and everything else the film has to offer. The originals had a story to tell. You were sucked in to the world of the paranormal, and moments of humour just happened along the way. Jokes were natural, subtle, and believable! Lastly, the rumours that the original cast might make an appearance, but not as the characters we know and love, rubbed salt in the wounds. I imagine a 5 minute scene between Stantz and Venkman would far outshine anything between the cast of this film. No, I won’t be going to see this when it hits the cinema. I admit, we’ve only seen 2 trailers. But the tone seems to be firmly set, and I just don’t like that tone. This film seems to try and please old and new fans alike. But it hits too many nerves and comes across as loud, cheesy, overly colourful and horribly parodical. The most annoying thing to me is that this could have been a groundbreaking film, a new addition to the classics that came before it, and a worthy sequel. It could have made these ladies superstars, if only it tried to step out on it’s own two feet and gave us relatable, genuine characters out on a new, untold adventure. Fair enough, you can drop a reference or two in there for us old timers…. but from the small amount of footage we’ve already seen, they’re planning to drag our old favourites through the mud! I’m keeping an open mind. There was actually a lot about the trailers I did like and some of the jokes did bring a smile. The biggest issue I have with this movie generally is that it shouldn’t exist. Why try to improve/develop upon two classics when they are fine as they are? Nobody is asking or really wanting this movie to happen! Based on the original trailer and the mixed reviews I have decided to give this movie a miss. Shame because like you I really enjoyed the cartoon and previous movies.